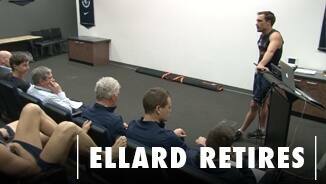 After eight seasons and 63 games in the Navy Blue, David Ellard called time on his career at the end of the 2015 season. 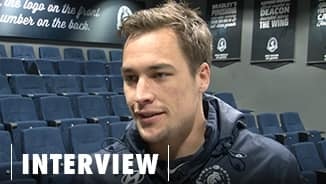 Carlton interim coach John Barker has paid tribute to David Ellard, who will play his final game in the navy blue on Saturday. 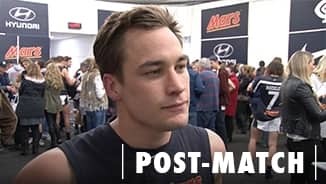 David Ellard says he’ll remain “forever in debt” to Carlton after calling time on his eight-year career in the navy blue jumper. A series of injuries limited David Ellard to 13 games in 2014, but didn’t stop him reaching the 50-game milestone in Round 18. In his sixth season at the Blues, Ellard impressed in a new role as a harassing small forward, averaging five tackles a game to finish in the Club’s top five for leading tacklers. His strong finish to the season saw his contract extended until the end of 2015. 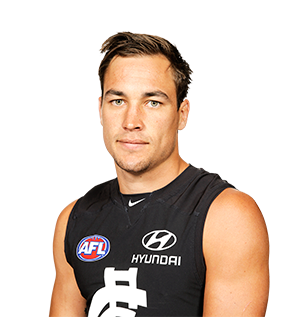 Draft history: 2008 Rookie Draft selection (Carlton) No. 34; 2010 NAB AFL Draft rookie elevation (Carlton) selection No. 99.